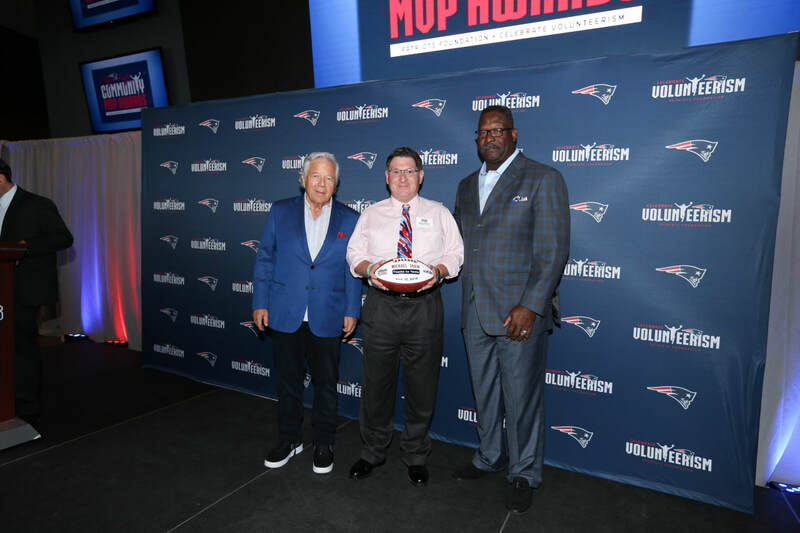 Michael Shain of Thanks To Yanks was honored to be one of this year’s 2018 Myra Kraft Community MVPs. He recently attended the Awards luncheon by the New England Patriots Foundation at Gillette Stadium to receive the award. Michael was one of the twenty-six selected out of over 400 nominees. Every year since 1998, the Kraft family and the New England Patriots have been celebrating those who give their time to help others. The program was originally known as the Community Quarterback Awards and were presented to those who exemplify leadership, dedication and a commitment to improving their communities through volunteerism. In 2011, the awards were renamed in honor of the late Myra Kraft who committed her life to volunteering. As part of the New England Patriots Foundation’s ongoing Celebrate Volunteerism initiative, the Kraft family hosts a special luncheon each year to show their appreciation for local volunteers.